The year-long wait is finally over! It's time for the biggest night of Bangla Television, it's time for the 5th edition of Zee Bangla Sonar Sansar Awards! So get ready to be drenched in the spirit of Holi, as this year, Zee Bangla Sonar Sansar Awards promises a blast of colours, which slated to be bigger and better than ever. 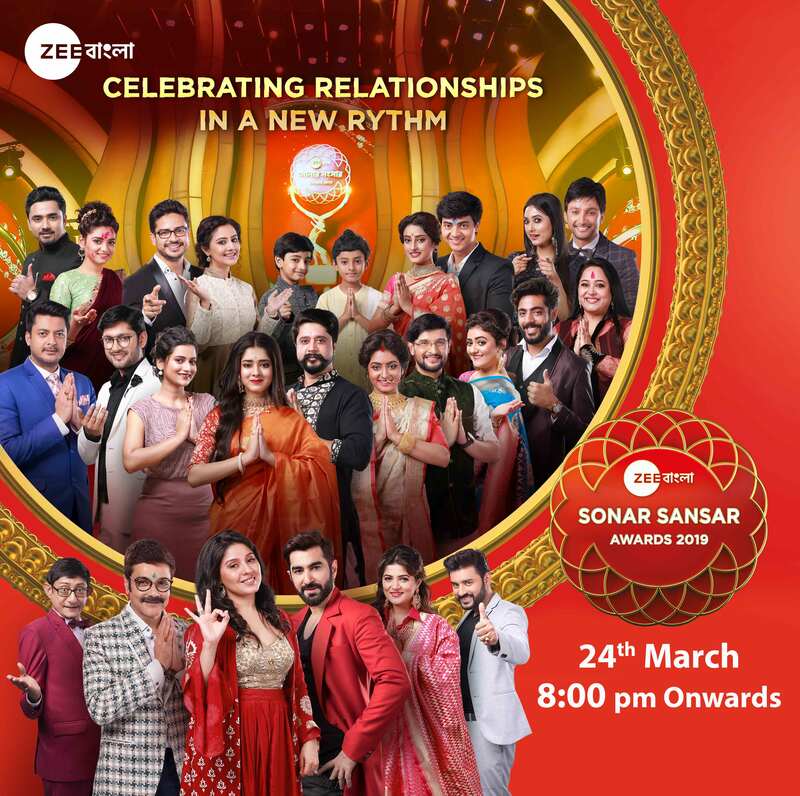 Carefully crafted as a high-voltage celebration of happiness, hope and success, Sonar Sansar Awards 2019 is a common ground for all the members of Zee Bangla family to come together. With an ensemble of stars from the Bangla television and film industry, the event promises hours of fun and frolic, never seen or heard of before. 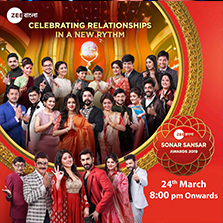 All round the year, Zee Bangla tells stories of ordinary people embarking upon extraordinary journeys, and Sonar Sansar Awards is the celebration of such journeys. Propellers of these change are acknowledged across many award categories ranging from popular viewers' choice awards to special jury awards. This, coupled with electrifying performances by celebrities, and a special performance by Sunidhi Chauhan, is something one cannot afford to miss. Be part of history in the making. Stay tuned to Zee Bangla on Sunday, 24th March at 8.00 pm onwards.